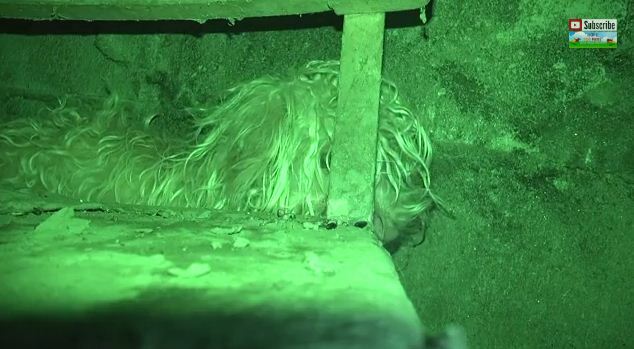 This Scared Homeless Dog Was Hiding In A Dark Sewer Tunnel But Rescuers Were Determined – Must See! We just love watching rescue videos; not only does it reminds us that there are still good and kindhearted people in the world, we also know that a dog’s life is saved because of these amazing people. It warms our hearts to see these dogs get a second chance in life. And here we have another heartwarming video to share with you! Hope for Paws and Rescue From The Hart teamed up to save a dog from the river. Initially, they were told that there were two dogs, but because of the rainstorm earlier that day, one of them drowned. The team had to search the dark sewers to find the poor dog. It wasn’t gonna be easy, but these guys don’t quit that easily. The dog was scared and frightened when they found him. But after a little love and care, they were able to get the dog out of the sewer tunnel. Check out the video below and watch this amazing rescue! Another dog was saved because of these amazing people! We’re so glad to see Bitty getting the love that he deserves; and he got to meet some friends too! Share this video to help these dogs find homes!